It’s a little-known fact that Nintendo granted both EA and Activision reduced GameCube licensing costs. It was a resoundingly pro-active move from Nintendo: around ten years ago the two publishers released big-budget, heavily promoted, titles on almost a monthly basis. If you’ve ever wondered why such games as Gun, Def Jam Vendetta and True Crime made it to GC, despite not being an ideal fit for the console’s demographic, now you know why. EA’s partnership with Nintendo went one step further than special mate’s rates. EA’s sports sims were selling nowhere near as well on GC than on PS2 and Xbox, and so Nintendo allowed the deep-pocketed publisher to feature the likes of Mario, Luigi and Peach in their 2005 sporting line-up. 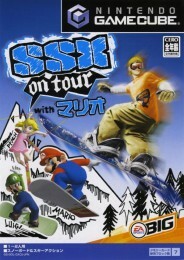 The fact that the previous entries, such as SSX Tricky and the first NBA Street, had arrived to critical acclaim no doubt played a key part in persuading Nintendo. They weren’t putting their name to any old tat. 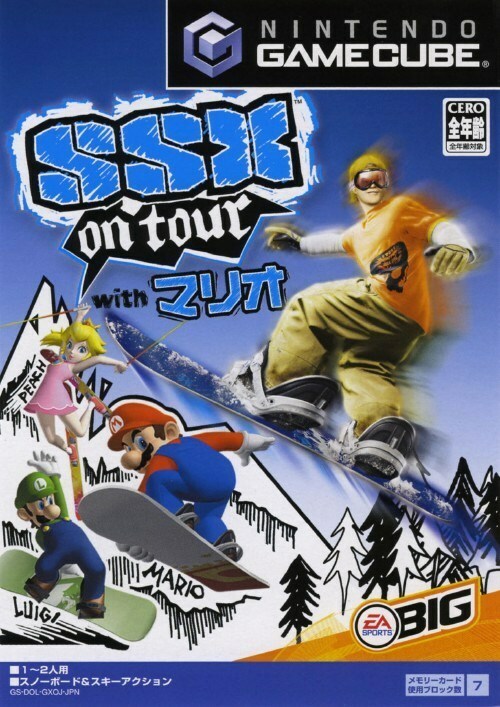 SSX on Tour – the fourth entry in the series – was easily the most successful collaboration. The SSX games boasted heavily stylised visuals – as opposed to the realism of competitor Amped – and so Mario and chums fitted in rather well. 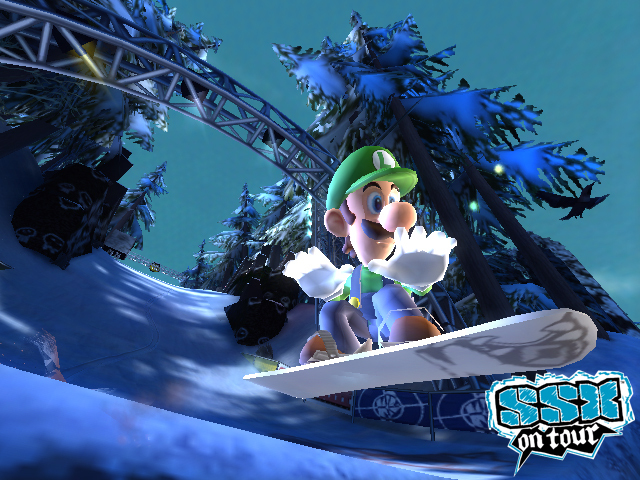 Mario and Luigi opted for snowboards while Peach favoured skis; Mario made his usual twee noises when performing tricks (“Wahoo! ), while the infamous 8-bit ‘power down’ sound effect could be heard upon bailing. Curiously, the Japanese version made a bigger song and dance about the use of Nintendo characters, giving the trio far larger presence on the box art. This was also the case for NBA Street V3, incidentally. EA’s Japanese arm was clearly keen to capitalise on Nintendo’s involvement. The appearance of Mario, Luigi and Peach in NBA Street V3 felt way more shoehorned-in than SSX on Tour. Despite being part of the ‘EA Sports Big’ brand, NBA Street had semi-realistic visuals to retain player likenesses. That’s to say, the series hadn’t gone down the caricature route like FIFA Street. With Mario and pals taking to the courts, the sports sim bared stark resemblance to Space Jam – large, cartoony, characters alongside real basketball players. Mario in particular was oddly proportioned, looking comically out of place. The use of 8-bit sound effects when passing the ball and such was a nice touch, but with such lifeless animation and a general lack of flare, players weren’t left believing Mario could fly. 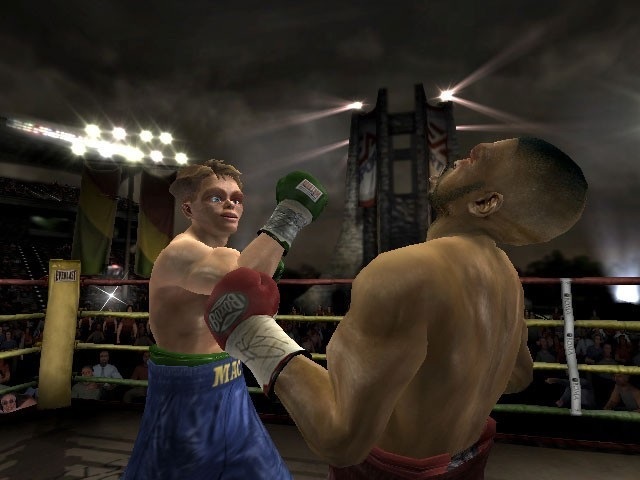 EA’s third partnership with Nintendo was for Fight Night: Round 2, which marked the first – and last – time the series hit GameCube. 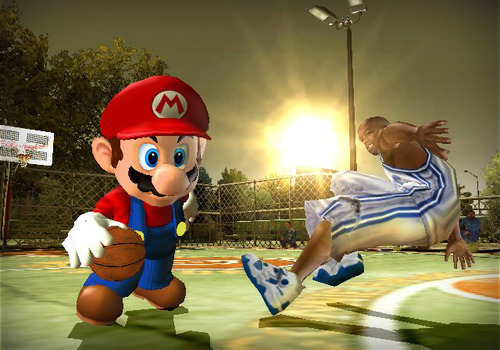 Obviously, Nintendo would never allow boxing legends to go one-on-one with Mario in the ring. The portly plumber was nowhere to be seen, in fact. For this sports sim Nintendo not only allowed EA to include the SNES’ Super Punch Out! but also add Little Mac to the player roster as an unlockable. Although Punch Out’s protagonist looked far more cartoon-like than the other pugilists, he didn’t appear entirely of place. His lack of distinguishable features certainly helped here. A few years later Activision attempted to gain Nintendo’s approval to use their characters, but word has it that the pitch went disastrously. The mega publisher hoped would allow Samus and Link to appear in the Wii version of Marvel: Ultimate Alliance. When it came to showing Nintendo how the duo would look in-game, the developers used the PlayStation 2 build. Presumably because this was the lead version that other iterations would be based upon. Nintendo clearly didn’t take kindly to seeing their creations on a rival console, instantly putting an end to any potential endorsement. It wasn’t until 2015’s Skylanders SuperChargers – some nine years later – that we finally saw Nintendo characters in an Activision product. Tags: EA GameCube, Fight Night: Round 2, NBA Street V3, SSX on Tour, Super Punch-Out! !